Malvan is a small coastal town located in the Sindhudurg district of Maharashtra. With its long lonely shores, silky white sand, clear water and golden sunsets, Malvan is a popular getaway for beach lovers. Even with its picturesque beauty, Malvan is quite an offbeat place that not many know of. Malvan lies on the coastal stretch of Maharashtra which is also known as the Konkan coast. The Konkan region is spread across the coastal regions of Maharashtra, Goa and Karnataka, bordered with the Western Ghats and the Arabian Sea on its either side. The word Konkana is derived from Sanskrit words 'kona', meaning corner, and 'kana' meaning piece, and thus means 'piece of earth' or 'corner of earth'. The world-famous Alphonso mangoes are produced in Malvan along with a few other regions of coastal Maharashtra. Along with mangoes, it also famous for other tropical fruits like jack fruits, cashew nuts, etc. Often referred to as 'land of food', Malvan is a popular food destination and Malvani food is a feast for the food lovers. Malvan is also famous for being home to the historically famous Sindhudurg Fort. Being a coastal town, Malvan experiences a warm and moderately humid climate for the most time throughout the year. Monsoons are however refreshing and the cooler months of winter are considered as best times to visit Malvan. The beach lovers who do not mind the summer sun and humidity for the love of the beach, nevertheless, end up visiting Malvan even during the summer. By Road: Malvan is well-connected with national highways connecting nearby major places of Maharashtra and Goa. It is located at a distance of 530 km from Mumbai, 143 from Ratnagiri and 146 km from Goa. Daily buses, state transport-run and private, ply from Mumbai, Pune and Goa. By Rail: The nearest railway station is Kudal, at a distance of 30 km. Regular, overnight trains depart from Mumbai to Kudal. Bus or auto-rickshaws can be availed from the station to reach Malvan. By Air: Dabolim in Goa is the nearest airport to Malvan at a distance of approximately 130 km. Board a bus or book a taxi to reach Malvan from Goa. This coastal beauty offers you numerous options varying from fun, adventure to leisure activities, catering to the needs of all kind of travellers. Satisfy your adrenaline rush by jumping into the clear waters or pick from an array of thrilling water sports. If you a leisure traveller, just grab a book or put the earphone and jump into the hammock by the sea. For the foodies, well, you can rest assure your palates are going to be at work for long hours. Take a look at what all Malvan has got for you in order to make your holiday a special one. Rock Garden is a tranquil place in Malvan. The location of this beautifully built garden is perfect as it opens to the panoramic views of the vast sea. Located very close from the Malvan jetty, the Malvan Rock Garden is near Arase Mahal, which is the rocky beach of Malvan. It is a perfect spot where one can relax on the rocks, listening to the sounds of the sea breeze and waves. The impressive Sindhudurg fort was built by the famous King Shivaji of the Maratha Empire in 1664. Sindhudurg literally means an ocean fort, as it stands surrounded by water on the Khurte island - a small islet in the Arabian Sea. During peak monsoon, the fort is closed for visitors due to high tides in the sea. Famous for its coral beach, Tarkarli is one of the upcoming tourist destinations in coastal Maharashtra. The serene village is located at the confluence of the Karli River and the Arabian Sea. A leisurely boat ride down the Karli River up to the confluence is the most cherished activity here. Apart from this, one can also enjoy many water sports activities including scuba diving, snorkeling, jet ski, banana boat ride, parasailing, etc. For a riveting holiday experience, you can also opt for a Houseboat stay on the tranquil backwaters of Karli. Devbag Beach is a stretch of land jutting out into the Arabian Sea in the little village of Devbag. It is approximately 10 km from Malvan and a must visit if you want to experience a simple, traditional Konkani village. Long lonely shores of white sands and clear water add to the rustic beauty of Devbag. The open waters around it are also frequented by dolphins, making it an ideal destination to spot dolphins. Closer to Devbag, an island known as Tsunami Island is where various water sports activities including scuba diving, snorkelling, jet ski, parasailing, etc., are conducted. 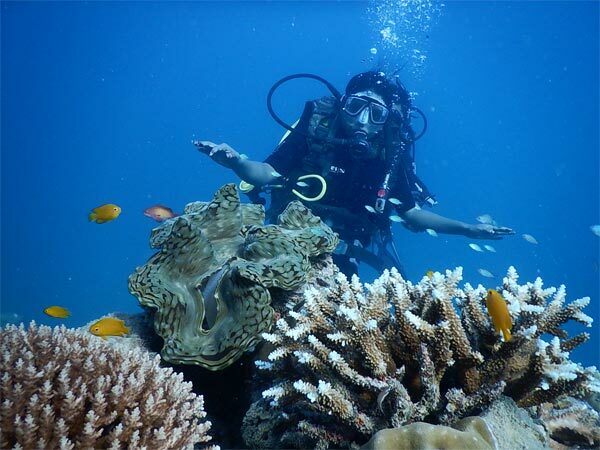 With its clear waters, Malvan has some of the best spots for scuba diving. Closer to the outer walls of the Sindhudurg Fort is a spot where many colourful marine life and live corals can be spotted. Malvan is a paradise for the foodies. Although the Malvani cuisine is mainly famous for its non-vegetarian dishes, it also has some great vegetarian delicacies. The gourmets can instantly identify the distinct way of cooking by the way of the liberal use of coconut, which is plenty on the Konkan coast. While in Malvan, you must try the delicious Solkadhi, Kaju chi aamti, Jhinga fry, Malvani Khaja and Ghavan. Not many know about this, but the Sai Bollywood Film City in Dikwal village near Malvan is the first Bollywood Filmcity in the world. It is located about 27 km from Malvan and is a popular place for fun and leisure activities. Go check out some sets and locations of Indian movies, strike Bollywood poses with dramatic backgrounds. There's also a Hollywood-styled sign on the hill saying Bollywood. With an extremely rich marine life, Malvan is one of the (only) five Marine Wildlife Sanctuaries in India. With a core zone covering Sindhudurg Fort, Padamged Island and a few other (now underwater) rocky islets, it was declared a Marine Wildlife Sanctuary in the year 1987. With numerous species of the amazing marine life, corals, pearl oysters, mollusks, sea anemones, and dolphins are found in abundance here.